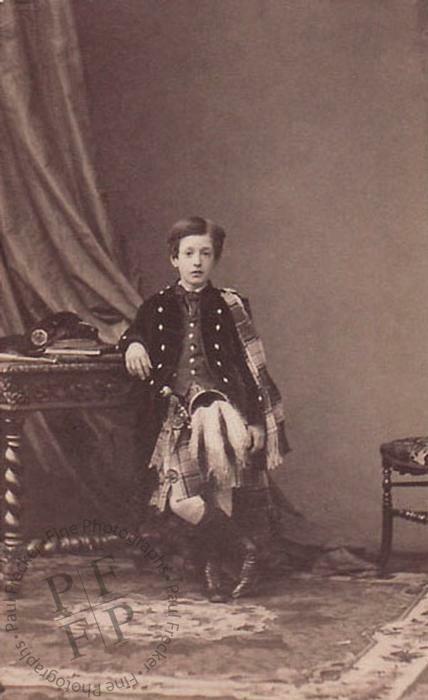 Don Carlos Stuart-FitzJames was the nephew of the Empress Eugénie. Born in Madrid on 4 December 1849, at the death of his father in 1881 he became the 16th Duke of Alba. He died in New York on 15 October 1901. According to his obituary in the Times (17 October 1901): ‘A New York Correspondent telegraphed last night - The Duke of Berwick and Alba died at his apartments in Holland-house, in this city, yesterday afternoon. He came as Sir Thomas Lipton’s guest, and arrived a few days before the first America Cup race and went to Holland-house […] He caught a cold on Thursday last and became feverish on Friday, and was attended by Dr Holbrook Curtis. The Duke seemed well on the way to recovery on Monday, but yesterday asthma, from which he had suffered for years, recurred, and he died in the afternoon from heart failure. A member of the Spanish Embassy has arrived to take charge of the body. The Duchess of Berwick and her children are in Belgium. The body is to be sent to Spain. ‘A Reuter telegram from New York states that Dr Curtis has telegraphed to the Empress Eugénie, the Duke’s aunt, announcing his death.